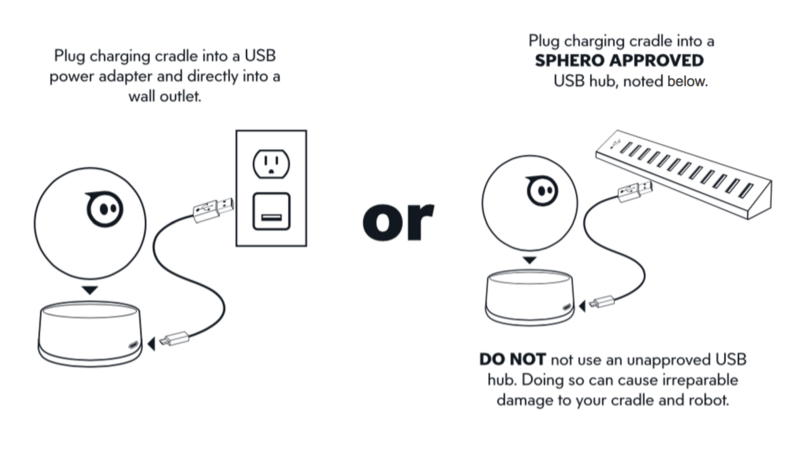 Sphero approved USB hubs have 700mA+ per robot, are high quality and known to prevent over-voltage spikes. If you are not sure your USB hub meets our specs please use this 6 port hub available on Amazon.com. For our Australian customers, we suggest this multi-port charging station. Is SPRK+ compatible with other chargers?